Hello and welcome to EuroSpec, Inc. in Jacksonville. With dozens of years of collective experience, we are proud to be your local Auto Repair and service experts. Check Engine Light come on? Bring it by the Engine Repair experts at EuroSpec, Inc..
Notice a clunking or grinding while shifting? It's time for a trip to the Transmission Repair specialists at our auto repair shop. 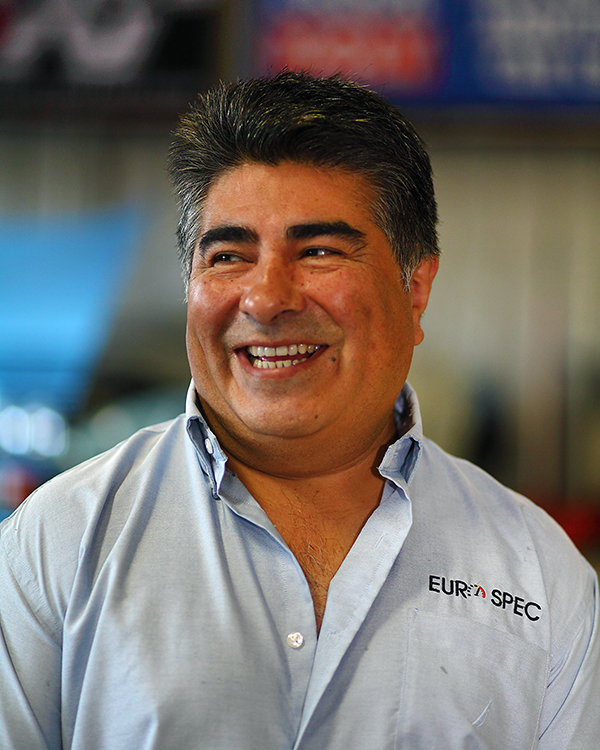 "I’m very impressed with the service I received at Eurospec..."
"My mercedes went in for a device this week. As.."
"Service was timely and excellent! The employees are professional.."
"Excellent service and a shop you can trust!" "A great company who g that extra mile for you!" "The best. Very informative. Exceptional work. As good as the.."
"The work was very meticulous and very thorough.Also, the best.."
"They have a great staff and do excellent work.."
"Top notch, very detailed and explain whats needed in simple terms"
"Staff was highly knowledgeable, professional and curtiois. Work was.."
"Eurospec performs quality work at a reasonable price, and Thier.."
"I've been a satisfied customer for ten or more years.."
"I strongly recommend, great staff and they guarantee their work..."
"Thorough evaluation. Each visit I receive a detail including pictures.."
"I would recommend EuroSpec without reservation. They always do a.."
"Given a choice, EuroSpec is the only place I would.."
"Excellent service from the moment you walk through the door." "Great Customer service, I have not had my repairs done.."
"Fantastic service. These guys completed the job on time.."
"EXTREMELY trustworthy, professional and understanding. You get a complete breakdown via.."
"Very friendly staff. The office itself is very organized and.."
"Excellent service and communication. The recommendations for the shop.."
"I have been a customer of EuroSpec for quite sometime..."
"Mike Brady was friendly, honest and professional.... The work done seems excellent..."
"I am a loyal client for life. I would.."
"Very professional and high tech, especially for independent auto repair facility." "The customer service is excellent. They make it a point.."
"Pictures were taken of problem area on my vehicle and.."
"Great timely service. Thank you"
"They were awesome!!! Had my car ready the same day!.." "Go there they do and excellent job"
"What a wonderful experience. They listened to my concerns, helped.."
"Very friendly very helpful worked hard at getting the.."
"I have been a Eurospec customer for 14 years. Would.."
"Definitely recommend shop for service on any European car. Great.."
"The customer service was excellent, and the repairs were completed.."
"THEY are the best and I love my experiences there..."
"Check them out, they seem to be good." "It is worth the drive. Great customer service very thorough." "great work, great customer service"
"Customer service is fabulous and friendly. Quality Great! Informed me.."
"Fantastic work and great customer service"
"Eurospec is so much more affordable than the dealership, and.."
"I have been a loyal customer of EuroSpec for many.."
"I would recommend EuroSpec to them for quality trusted service..."
"High quality experience. I appreciate your level of attention.."
"excellent service, trustworthy and very professional team." "I was very pleased with the staff and service. They.."
"The team is prompt and courteous. They take every oppty.."
"They provide excellent service and have great people skills"
"I would tell them they would be foolish to take.."
"Everyone is friendly. They always do a great job and.."
"Get a CLEAR understanding of the work/repairs you want done." "They have excellent service and a knowledgable staff!" "Quality work; friendly staff; reasonable pricing." "The staff and Mechanical team are very knowledgeable, personal with.."
"I would tell them that EuroSpec, Inc. is an excellent.."
"The service was good and I think these guys know.."
"I would not go anywhere else. Eurospec has treated me.."
"Great follow up, exceeded expectations and finished with a wash!" "Excellent customer service (thanks Britney)...and a very knowledgeable staff."